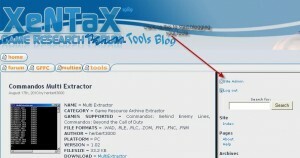 Tools Blog lists 45 tools and counting! I’ve completed the transition of the tools that were posted at the Tools Blog to the new custom field template. We now list 45 member-created game-mod tools, many of them custom created in response to visitor requests. I am positive this is just the tip of the iceberg, and there are many more tools posted throughout. We must list them all at the Tools Blog! Check also this post for a How-To. The second mod in our theme was released. 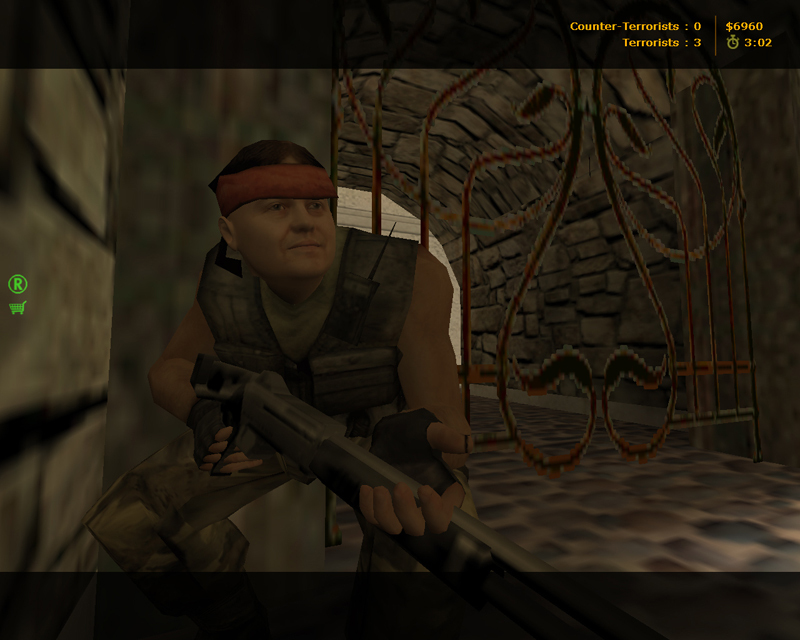 Now you will find the six politician game figures in Counterstrike 1.6. Simply use the new models in the package to pose as lookalikes of the Dutch party leaders, or fight them in endless rounds of the game. Created by onelove1210 from the Game Research Forum. As of a week ago, we are accepting donations through PayPal from beneficiaries that offer kind help to support our Game Discussion Forum that aims to discuss games and mods that maximize the playability and longetivity of gamer’s favourite pass-times. Those that are already registered at the Game Discussion Forum are not required to donate, it’s their own choice. However, to be offered an active account as a new user, we would humbly ask to donate a small sum. As a return favour we will grant you the possibility to register and post. To do so, go to http://forum.xentax.com/ucp.php?mode=donate. First complete the donation, then click on return to go on with the forum registration. It is an interesting case. But a just cause. If you’ve bought the game, but are unable to play it due to the dramatic way Blizzard organised their servers (and still! ), you should be getting a refund. You don’t pay your good money just so that Blizzard can take it without delivering. The Korean approach is long due, and this will hopefully be followed in other countries as well. Blizzard are an arrogant, incompetent and greedy organization that are only interested in profits with unstable releases of tired old games. Time to take the money back they stole from the gamers. So that they will think twice about releasing a new product completely unprepared. Blizzard, you fanbase is diminishing by the hour. Sure, there will be enough gamers to continue to con, but the law just might be on our side. And then your conduct will be punished. Your annual conferences are aptly named BlizzCon. To con. 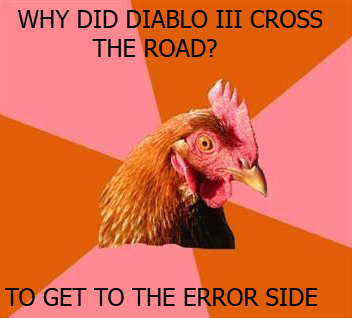 We warned that Diablo 3 would not launch well (technically) in the post about the failed beta stress test. We (and many others) were right. The launch was a technical joke, with Blizzard seemingly having gained nothing from the stress test, and lost a good part of their fan base. (Though they sold 6.3 million copies, which is a great success. Times $60 = $378.000.000). The crappy technical launch, the DRM, the lag on single player, the online need to play even the single player campaign, the extremely short and linear main campaign (undoubtfully to quickly start selling “add on quests” in the mold of WoW, dragging even more money out of gamers as the game itself is already ludicrously priced), the numerous errors preventing play, tired gameplay, lost save games, stolen and hacked accounts, etc etc have proven that Blizzard’s only intend must have been to make quick money, even if they took 12 years to create it (and still they were not prepared). Here’s a small collection of posts surrounding the “epic fail” of the once innovative Blizzard. Take heed that reviewers still rave about the game, and cannot find fault with it, though metacritic users have en masse punished Blizzard for their conduct. Due to a crash of a couple of hard disks at our host, we’ve been down for a few days. This should be fixed now as you read this message. From Friday, April 20 at 12:01 p.m. PDT (noon), until Monday, April 23 at 10:00 a.m. PDT you’ll be able to log in, team up with friends, and play each of the five heroic classes to level 13 as you fight to save the world from the impending demonic invasion. Blizzard’s arrogance mixed with fanboy fanaticism. We can but hope that Blizzard’s arrogance is dealt with swiftly, and fiercely, by lower sales. Their conduct is an insult to gamers. [EDIT]The servers are reachable after two days of not being reachable. As the beta test ends on Monday, and if the servers continue to allow people in today, there will have been 1 out of 3 days that gamers could actually run the game when the test is completed. [EDIT2]Nope. Keep getting error 30006: Time out today. So that means the third day is lost as well. [EDIT3]And finally error 3004. It will be best to just wait and leave the game on the shelves when it comes out. FAIL complete. [EDIT4]Was able to play it to the end. Got in, and decided to stick with it. Nice game. 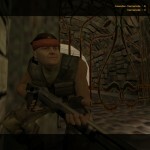 But nothing we haven’t seen done better since Diablo 2. Torchlight 2 anyone? We are currently cleaning our site of blatant violations of copyrights. Even though Google Adsense people were mistaken to cut us of, we do see the need to polish our site. 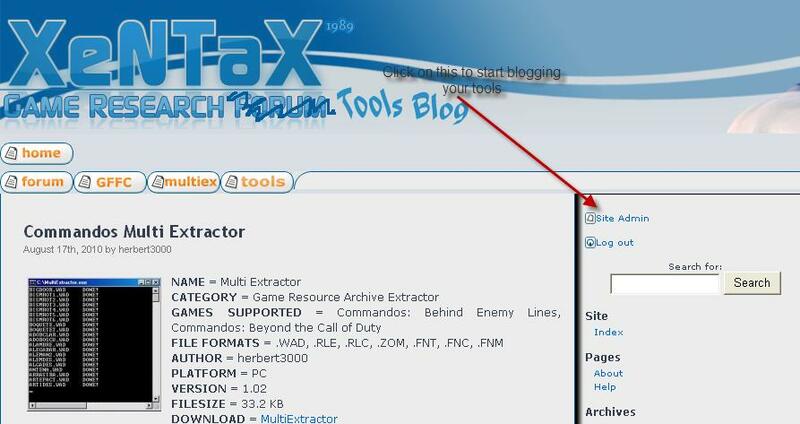 We have therefore sharpened the forum rules, and removed thousands of links to file sharing sites, indiscriminately, to make sure we remove all links to files that may be illegal. We will continue the purging, which may also impact user accounts. A zero tolerance towards illegal behaviour. Just so you know, two days ago we got a notice from Google Adsense, one of our prime funding methods to keep the site up, they would no longer show their ads at the forum, because of suspected copyright issues with some of the files discussed. They were wrong, and they will always be wrong. They haven’t got a clue whatsoever of what we are doing, and they certainly do not know the law. They’re a bunch of trigger happy admins that should do well to read up on the matters. As it is, there is no way to appeal, and any discussion they avoid. So, screw you Google, or should I say Nova Microsoft. You’ve lost any ideals you stood for. And are worse than Microsoft.